Excited, we waved our grandparents goodbye as they had come down for a visit and to look after animals while we were away. I had left them a nice list of stuff to do so that they didn't get too bored! We left home around 12:30 pm, leaving Mama and Papa to take care of all the animals. Before going to sleep, Zach and I got to watch both of the the hilariously funny Johnny English movies . I woke up around 7:30 am... I reckon I would have been asleep for much longer if I wasn't sleeping in the lounge-room. It was connected to the dining room, which was also to the kitchen, so when people began to get up, they moved into these rooms to get breakfast and watch TV... To be fair they did keep the volume low-ish but it still woke me up, or was that my little cousin innocently trying to trample me? I can't remember. After we had eaten breakfast and had packed the car, we bid our farewell's and after a quick prayer for safe travels, we left approximately at 10:30 am. 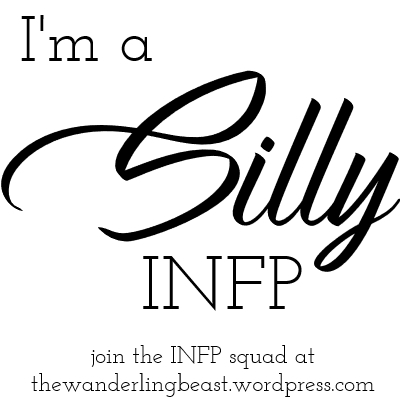 We spent about six hours in the car (while breaking for lunch somewhere in-between, of course) listening to music and reading questions from lolly wrappers to each other. We also drove right through the ACT and back into NSW at some-point which I reckon was really cool. At long last, we finally drove up the drive-way into 'Snowy Dream Motel' in Berridale. It was quite a nice place.. Small, but very nice and comfy. They had two pairs of bunk beds lining the wall, a comfy couch, a TV, a fridge (very important! Although.. it didn't have anything interesting in it sadly...) and a lovely little coffee table that we used as a dining table. When dinner came around, we ate the pasta salad that mum had prepared before we had even left home, along with the drinks dad had bought along... After that we mostly watched TV and then went to bed. We left the motel roughly around 8:50 am and piled into the car for a 20 minute drive to a ski hire store…We stopped there to pick up some ski gear that dad hired (well, duh) and somehow had to fit it all in the car. We then drove a further rough 30 minutes to get to Thredbo, River Inn (awesome name) and Thredbo Ski runs. P.S We also crossed the Snowy River! We watched other people (There was heaps and heaps of people there) skiing for a bit and then we went to get our own gear so we could do our own skiing. Back at the car we strapped on our slightly uncomfortable boots and attempted to walk (normally) back to the slope while carrying our other ski gear. It was slightly tricky getting the boots to attach to the skis but after about three or so times of doing it, I think I got the hang of it… Getting the boots to attach to the skis that is, the actual skiing… Well, that was much harder! I was “alright” (as Dad said) the first go… Had a small fall but that was completely normal since we were on the “Easy Does It” slope and there were heaps of people falling over. I don’t like going really fast and I had asked Dad how to go much slower while skiing and it seemed sort of simple but when I actually went down the hill it didn’t seem to work and I went pretty fast… Not so fun for me… I tried stopping but so far, for me, the only way to stop was to fall over. Although I fell over more by accident but oh well. I was very hesitant to go up the hill again but Dad wouldn’t take an “I don’t think I want to ski anymore..” as a ‘no’ and marched me back up the slope. I wasn’t amused and wouldn’t go until Zach went, Jasmine went, Dad went and then Dad and Zach came back up and then Zach went again and Dad practically had to push me off. I think I must have done something wrong the last time I was trying to slow down because I was much better at it the second time… Maybe because I was skiing across the slope and not down it… Ah well. Anyway, after skiing and having had some morning tea, we checked in at the River Inn and unpacked the car. After that was done, we watched the second half of the movie Dad bought and then watched the news afterwards. After that, we decided we should probably get ready for dinner and when we were all ready to go, Ally decided to throw up. You heard me. She threw up in the middle of our hotel room… Not that anyone was upset with her or anything… Truth be told she had been feeling pretty sick all day (the poor dear). And then after THAT was cleaned up and Ally was feeling a bit better, we went down to a very nice, but crowded looking restaurant. I had fish n’ chips, Zach had cottage pie, Jas had the same as me, Mum had the same only with salad, Ally had potato and leek soup and Dad had spaghetti bolognaise… It was very filling that’s for sure! For desert, there was either jelly or ice-cream (with assorted sprinkles and sauces)… Jasmine must have had a bit too much, because she has been on a hyper rampage ever since! While we were still at the table, Zach had thought I had also had a bit too much ice-cream. Pfffft… I would know if I was hyper, thank you very much! Anyway, we went back to the room and are ready to get some sleep so I’ll leave it at that. P.S it was around 3 degrees Celsius today! Brrr! I woke up around 7:50 am and after wandering around the room trying to get all my stuff together, and then having to wait for the bathroom to be free, I was finally ready for breakfast. We hurried down to the River Inn Restaurant. I say “hurried” because Mum was worried that we would be too late and the restaurant would be closed so that they could set up for lunch… Luckily, we pretty much had perfect timing because the main breakfast-time rush was over and there were heaps of tables free. For breakfast, they served baked beans, bacon, hash browns (my favourite! ), cooked mushrooms, scrambled eggs, and assorted bread for toast. Oh, and fruit juice. After we finished, we headed down to where the ski gear was stored and collected our gear, we headed back to the ski slope. 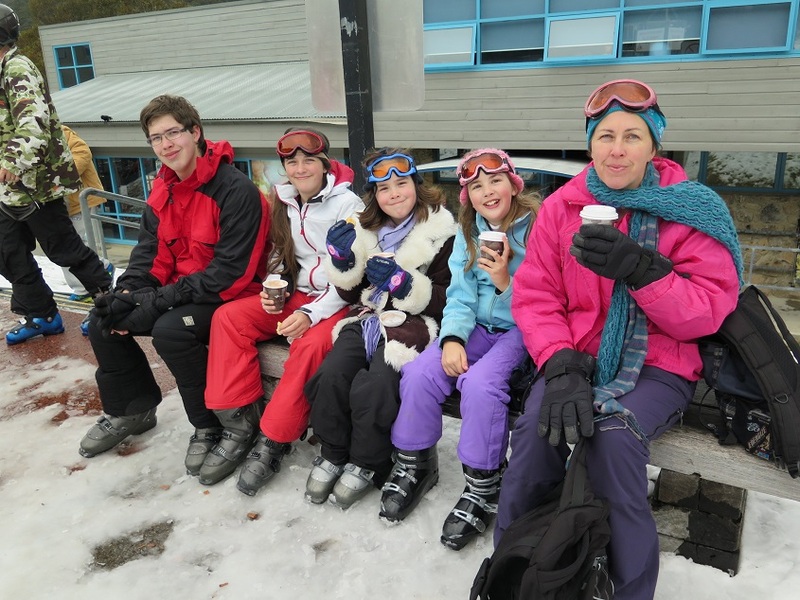 We skied for a few, very fun hours and then we decided (after having freshly made donuts and hot chocolate) to go to the Snow Play Park so we could go tobogganing and maybe build a snowman. The tobogganing was great, a bit scary on the first try since there was so many little kiddies about the place and it was very hard to steer. I ended up letting Zach, Jasmine and Ally have a few goes until I was brave enough to try it again…This time when there were less kiddies running around. It’s not very fun looking down the slope when in the toboggan but when you push off it's quite fun! We caught the courtesy bus back to the River Inn and Dad and I decided to do a little bit more skiing before it got too dark (this was around 3:30 pm) and possibly too cold. Mum and the others decided to stay in the hotel room and just relax since they were either too tired or weren’t feeling too good. Dad and I had a great time and I almost fell over only about… twice, I think? Anyway, that’s not really important! After skiing, we came back to the hotel room and watched TV (Mostly the News though…very boring) until it was time for dinner. For dinner, we went back to the very same resturaunt as before only this time we had pizza! (Dad’s favourite!) When Dad ordered the pizza, he received a strange little black piece of technology that would supposedly tell us when the pizza was ready. It took a long time but I reckon the wait was definitely worth it! The pizza was absolutely delicious and I jokingly said to mum that after that, I didn’t think I would be happy with eating the other kind of pizzas we usually get back at home. We finished our meal happily and then walked back upstairs to our room. Where we then sorted out our tomorrow traveling clothes (as it would be our last day then) and with a promise of a movie, we got into our pyjamas and hopped into bed. And now, at 10:14 pm, I want to go to sleep. P.S It was a minimum of 2 and a maximum of 4 today. 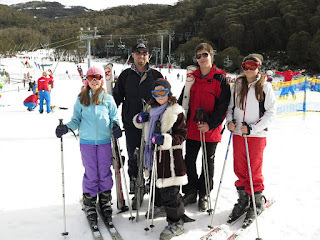 Once we had packed mostly everything in the car, Dad took the younger girls for one last ski before we left. Mum went up the slope with them to take pictures leaving Zach and I to wait around in the guest lounge room because I had decided it would be too much bother to have to get changed, and Zach just didn’t feel well enough to ski. We played naughts and crosses for a while (or at least until all my strategies were too predictable and I got bored) and then used Zach’s phone to play chess. We didn’t finish it though… I kind of got bored with it when Mum came back inside to show us the videos of Ally and Jasmine skiing…. Jasmine’s pretty much a maniac (Surprising? Not really…). She goes very fast (according to me, that is,) and crash lands at the bottom often narrowly missing people. She even finds their reactions amusing apparently. Ally’s a little better; she still goes faster than me but she seems more in control than Jas is, that’s for sure! Once they had finished, they got changed out of the snow and ski gear and put on their travelling clothes. Mum and Zach somehow managed to fit all of the gear nicely in to the car and soon enough we were heading back the way we came! We stopped at the Berridale Inn for lunch of which we had three small bowls of yummy hot chips and some fruit juice. We were soon on the road once again and didn’t stop until we reached Alivio Tourist Park in Canberra… The trip as a whole took about two and a half hours, which was nice as I like being able to relax in the car with my blanket and pillow… Something I most likely won’t be doing as much whenever I start driving. Zach and Mum unpacked the car (Only getting the stuff we actually needed this time) while Jas, Ally and I explored our cabin, attempting to claim beds. After beds had been claimed and Mum rearranged to what she thought was fair, we sat down on the only three-seater couch and watched TV while Dad went to the local IGA to get some eggs for a noodle omelette and some other stuff for lunch the next day. Tired, we went and changed into our pyjamas and went to bed… Or we kids tried to at least, since we were all in the same bedroom and Jas couldn’t stand the door being closed and Zach really didn’t want it to be open. Eventually (after too much crying from Jas), Zach caved in and opened the door slightly so we all could finally get some sleep. Today I woke up…. ‘Nuff said. We went to Parliament House! Yay! It’s absolutely huge and it took us at least fifteen minutes to get from where we parked to the front door (or side door as it were). Once there, we went through a metal detector and into the awesome looking main hall. Everything was pretty much made out of marble, the stairs, the walls, and the floor for example. It was very fancy looking. After a little while, (and mainly because we were on a tight schedule due to limited time for parking) Mum and Dad decided to take us to the Red Room (Otherwise known as the “Senate Chambers”) where they were talking about the refugees and asylum seekers coming to Australia and what-not. It was very interesting! If I was to point out my favourite part of going to Parliament House, it would probably be finding the Australian copy of the Magna Carta. Not to mention we also saw the pool of reflection and went up to the roof for an awesome view of Canberra. It was not listening to some politician talk to a bunch of school kids about which football teams they all supported! We left sometime around midday (thankfully not forgetting to retrieve the bags from the cloakroom) to go to the…. National Museum of Australia! Yay! Like the Parliament House, the national museum was also massive! I was so excited to take a look at everything that I was very impatient when Dad stopped to take pictures but now as I write this, I’m quite glad that he did otherwise I wouldn’t have anything to show off! I love going to museums… Just looking at all the old stuff and knowing it’s actually there right in front of me is very exciting! Like Pharlap’s heart for instance, it was actually there and just as big as my favourite books had said. Not to mention there was also a giant old windmill, an awesome tapestry of Red Riding Hood and the wolf, a very old rusty sea anchor and a whole heap of other cool stuff. After we had spent about two and a half hours there, we decided to move on to the next place (much to my disappointment) after we had picked up our bags from the museum cloakroom. Ally posing with Nova Peris's gold medal. Next up was the Royal Australian Mint! My first impression was pretty much: Good grief, why is everything official in Canberra so darn big? Jasmine was very excited at seeing money everywhere. We went inside and saw much to our surprise, a over flowing bucket of one dollar coins! Since Mum was very tired and didn't feel up to walking around the Mint, Dad took us up the stairs to where we would be able to see where and how money was minted. We watched a small, but interesting, introductory video in a small theater room and then walked around, mostly just looking at stuff. Jasmine pointing out the hundreds of five-cent coins in the stairs. At one point, Jas got a bit bored of looking at the coins and decided to just look at her fingers instead... Well, I guess you could say she saw an opportunity and took it. Oh, and they made a tiara! It was very pretty. I'm sorry Ally was sick... when we went to Canberra a few years back, Luke threw up everywhere too. Other than that, I loved Canberra. If you ever go back, you really should check out the War Memorial. Yes, it's flippin' big too. Actually it's just about impossible to see it all in one day, but it is incredible. You brought back all my memories of when we went to the mint and parliament house... though I think all the rooms were empty.... or at least we did not get to see people discussing important.... or not so important stuff.